The Airo Brush is an exceptional floor nozzle developed to provide quick and efficient carpet care. This is especially effective for removal of Threads, Dog Hair & Cat Hair. 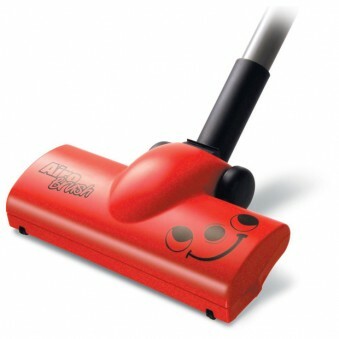 It grooms the whole carpet and will allow power brush results where uprights can rarely go. A truly High Performance carpet tool.